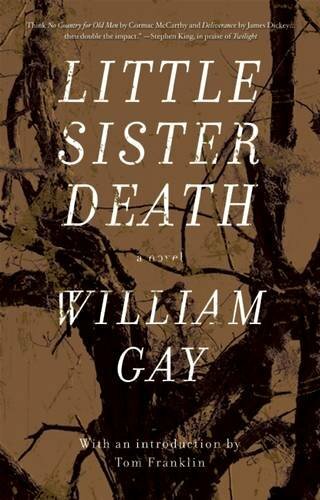 A stirring literary rendition of Tennessee’s famed Curse of the Bell Witch, Little Sister Death skilfully toes the line between Southern Gothic and horror, and further cements William Gay’s legacy as not only one of the South’s finest writers, but among the best that American literature has to offer. As his friend Tom Franklin notes in the intimate introduction with which Little Sister Death begins, the late, great William Gay's lost horror novel "is the most metafictional thing [he] ever wrote—it's about a writer, obsessed with a haunting, who moves his family to the site" (p.xvii) of said unearthly events. Gay, for his part, didn't go quite as far as that, but he had "long been fascinated with the Bell Witch phenomenon in Tennessee, and even had his own encounter with, perhaps, an echo of the Bell Witch herself." (pp.xvi-xvii) That true tale acts at a capstone on the unsettling story at the centre of Little Sister Death, but there's a goodly amount of truth, too, in the several hundred posthumously published pages preceding the author's authentic account of his own eerie experience. Like William Gay, whose fearsome first novel won the 1989 James A. Michener Memorial Prize, the debut of Little Sister Death's central character David Binder is something of a success. Not necessarily commercially—it's no bestseller—but it wins enough awards to keep Binder and his kin in business. Sadly, the critically acclaimed young author's second novel does not cement his literary legacy in the way Provinces of Night did in Gay's case. Instead, it's rejected, and rather than redrafting the manuscript, a briefly defeated Binder takes his agent's advice to "write a genre novel [...] something we can sell to the paperback house" (p.22) to heart. A trip to his local bookstore later, he has his subject: the Beale Haunting—Gay's thinly veiled rendition of the so-called Curse of the Bell Witch, which, for what it's worth, The Blair Witch Project is believed to have been based on. No angle seemed to be true to the eye's expectation. The horizontal seemed slightly out of level, the vertical just a fraction out of plumb. Perhaps this very imbalance lay at the root of things; an eye perpetually beguiled and a brain constantly reevaluating these images might insanity to it like a comforter. Yet he knew the evil predated the house, and he looked farther to the land itself, the sedgefield running stonily down the hill to the outbuildings, to what must have been the carriage house, and far beyond that, the ruins of the slave cabins. Truth be told, time is not on Binder's side. Nor, sadly, was it with the author of this tremendously taut horror novel, for as exquisite as Little Sister Death is, I'm afraid it also feels... unfinished. According to A Note from the Publisher, said text was "compiled and transcribed from [Gay's] handwritten notebooks and a typescript discovered among his papers" (p.207) at the Sewanee University Library, and happy as I am to have had the chance to read it regardless, a great many of the elements introduced in Little Sister Death are less than fully-fledged. Certain characters—Binder's wife in particular—are given such short shrift that you have to imagine Gay would have gotten back to them, given a little longer with his metafictional manuscript, and there are plenty of plot threads that remain resolutely unresolved by the book's conclusion. As to that, though the ending itself is somewhat satisfactory in that it sort of suggests what might yet happen next, it's so utterly abrupt I found myself reading it repeatedly to be sure I wasn't missing something critical. Like the damned dog that prows the periphery of the fiction, a hellish sense of tension creeps inexorably towards the reader over the length and depth of Little Sister Death. The atmosphere, in the interim, is a watercolour wash of otherworldly wickedness, whilst Cormac McCarthy meets the likes of Laird Barron in Gay's occasional conjuring of the cosmic. 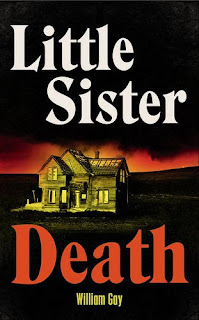 Cannily crafted, exceptional in its storytelling and doubly seductive in its sultry Southern setting, what there is of Little Sister Death is literary horror of the highest order.